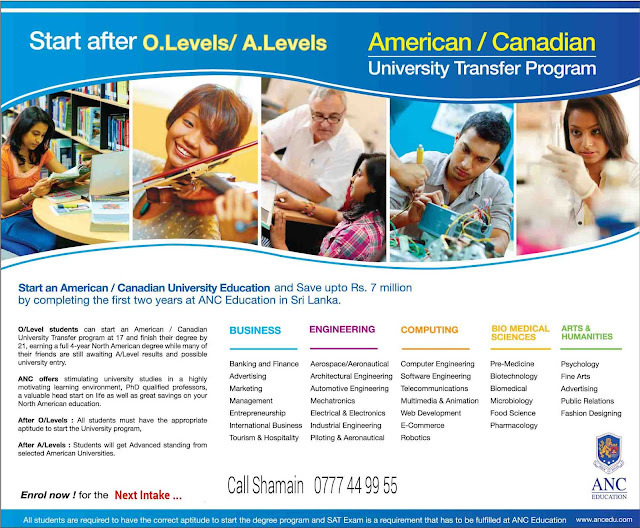 O/Level students in Sri Lanka can start an American / Canadian University Transfer program at 17 and finish their degree by 21, earning a full 4-year North American degree while many of their friends are still awaiting A/Level results and possible university entry. ANC offers stimulating university studies in a highly motivating learning environment, PhD qualified professors, a valuable head start on life as well as great savings on your North American education. After A/Levels : Students will get Advanced standing from selected American Universities.